Pay pal brings you a mobile payment app and card reader called ‘Pay pal Here’. Though the concept is similar to mobile credit card processing services like Intuit’s Go Payment, Jack Dorsey’s (creator of Twitter) Square and North American Ban card’s Pay Anywhere; PayPal Here app comes with its own unique features of mobile payment. Let’s discuss some similarities and differences between PayPal and the others. 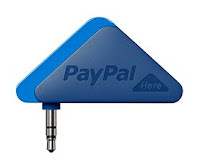 PayPal offers free card reader and app which is compatible with iPhones and Android phones, likewise. Swipe fee for processing VISA or MasterCard is 2.7 % and the keyed rate is 3.5%+ $0.15 per transaction. 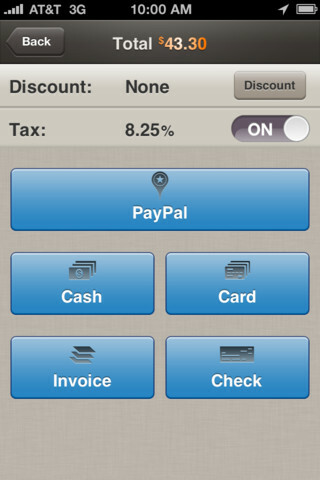 PayPal charges 3.5% for swiped American Express cards but are currently rebating to give the final fee to 2.7%. Merchant processing limits and fund holding procedures are very similar to Square. Limit does not apply to swipe transactions of uncertain reserve procedures and exact processing limits and are based on ‘risk’ factors. PayPal is incorporated with a regular PayPal account thus, giving access to a range of other features to the merchants, unlike its competitors. Funds will be immediately made available to merchants, which fall within normal risk tolerances. Transferring money to an attached checking account or ATM withdrawals and using attached debit card to make purchases is possible. The most unique feature of PayPal is its ability to accept electronic check payments, create and send digital invoices and track payments. Very soon these features will also be introduced to work on the phone. Having 106 million registered users has already put PayPal Here service to the forefront and is a big advantage for PayPal over competition.